It holds a comprehensive collection of electronic and hard copy legal resources together with access to a vast network of external resources and specialised legal collections. 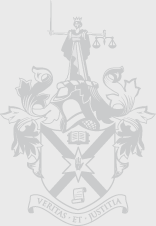 The Library also provides a range of services which many solicitors use on a regular basis including its very popular enquiry and research service, the document delivery service, the Library Updater, the current awareness service, tailored e-bulletins and the Libero Database, which is an important portal of legal information for practitioners in this jurisdiction. The Library and Information Service is once again running its in-depth Compact Research Courses for solicitors. The numbers at each session will be capped at approximately 4 to ensure maximum benefit for each participant. The emphasis of the course will be very much “hands on” with participants encouraged to use the resources and facilities available to develop their legal research experience and techniques. • one of the sessions is an interactive tutorial on best practice, tips and techniques for using the internet for legal research. Attendance at this seminar will fully cover the 2016 Client Care and Practice Management CPD requirement. Any additional Client Care and Practice Management hours gained can be carried over into the General Group Study section. The sessions have been extremely popular and booking is essential – please ensure you contact the CPD department directly and receive a booking confirmation if you want to attend one of the sessions. We will be unable to cater for anyone who turns up without booking in advance. Please inform CPD staff on booking if you have attended this course before as preference will be given to those who have not previously attended.